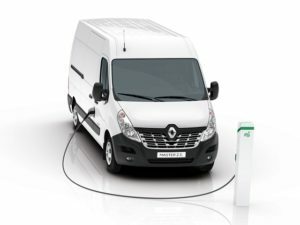 The Department for Transport is to raise the weight threshold for electric light commercial vehicles from 3.5 tonnes to 4.25 tonnes, removing administrative burdens for operators and making them more competitive to run. The higher weight threshold reflects heavier drivetrains in electric vans. It follows a consultation launched in July which asked whether battery-electric, range-extended electric, plug-in hybrid, hydrogen fuel cell and natural gas powered vehicles could be classed under Category N1, even if their heavier drivetrains pushed them over the 3.5-tonne gross vehicle weight. The department said it had had only 15 responses to the consultation, but added that they supported the move. It will now extend the weight threshold to 4.25 tonnes, provided the vehicles are only used within the United Kingdom, applying to hire or reward and own account haulage operations. In turn, this means vehicles can be driven on a Category B (car) licence, rather than requiring a C1 licence (<7.5 tonnes), which the consultation document said could add £1,200 per driver. It also means they are exempted from restricted operator licensing requirements.